Investor guru Warren Buffett, 87, told shareholders Saturday that his holding company Berkshire Hathaway will continue to prosper after he is gone. At an annual shareholders' meeting in his home town of Omaha, Nebraska, Buffett was peppered with questions about the future of the company without Buffett, who is a quasi deity among the investing public. 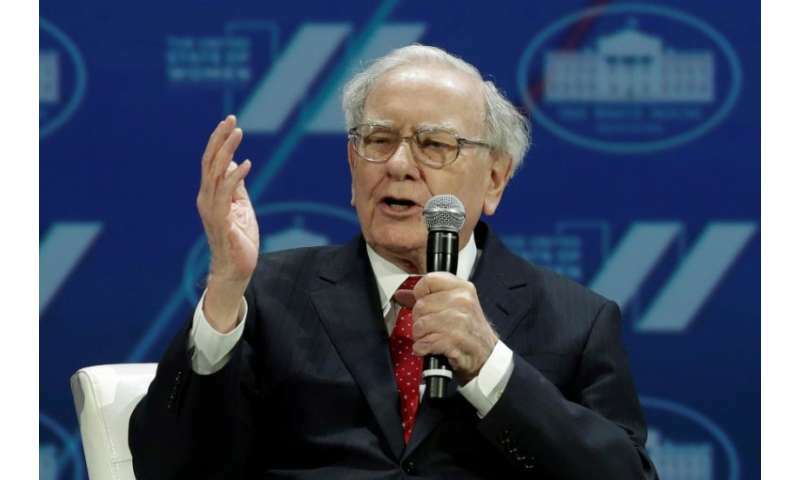 He said Berkshire Hathaway's success was not due to his celebrity status but rather to good business sense when it comes to sniffing out business opportunities and making sound investments. "The reputation belongs to Berkshire. Now, for somebody that cares about a business we absolutely are the first call and will continue to be the first call," he said. Investors in America tend to turn to Buffett and see what he is doing with his billions during bad times, such as during the big financial crisis of the previous decade. If Buffett invests in a company, many people take it as a sign that you can trust the future of that firm. On Friday, for instance, shares in Apple rose four percent on news that he was increasing his stake in the company. Some in America are wondering if Berkshire Hathaway will remain such a bellwether once Buffett is gone. "If they care about where the business ends up being one way or another, we absolutely are the first call," he said Saturday. "I don't think they will hang up if I don't answer, if they need the money." Berkshire Hathaway has stakes in a wide variety of companies such as Coca-Cola, American Express, Wells Fargo and Delta Air Lines. In the first quarter of the year, it posted a rare loss—of $1.14 billion—according to a statement issued Saturday. That compares to a profit of $4.07 billion in the same quarter of last year. The company said the loss was due to billions in charges on estimated potential losses it must book because of new accounting rules.